A coalition of NGOs on Wednesday urged Spain not to sign off on a planned sale of warships to Saudi Arabia during an upcoming visit to Madrid by the kingdom’s crown prince. The “Arms Under Control” collective, which includes Amnesty International, Oxfam and Greenpeace, also called on Spain to stop exporting arms to the Saudi-led coalition fighting Iran-backed Houthi rebels in Yemen, where thousands of civilians have been killed. 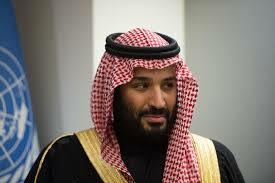 During his trip to Spain on Thursday, Prince Mohammed bin Salman will meet King Felipe VI and Prime Minister Mariano Rajoy — “a meeting during which bilateral agreements will be signed,” read the Spanish government’s agenda, without giving more details. Spain’s loss-making shipyards are placing a lot of hope on the planned sale of five corvettes, which has reportedly been under negotiation for two years. But rights groups have denounced it, saying the warships could be used in Saudi Arabia’s military campaign in Yemen. On Wednesday, the NGOs coalition asked the royal palace and Spanish government “not to promote the signature of Spanish company Navantia’s contract to build five corvettes… for the Saudi army and to end arms exports to Saudi Arabia”. Spain and Saudi Arabia’s royal families are very close as King Felipe VI’s father Juan Carlos was a close friend of the kingdom’s late King Fahd, who reigned from 1982 to 2005, and is close to his brother King Salman.